ODPH members work together and with other experts to create helpful resources and position statements related to public health nutrition. These resources can be used as a basis for public health-related programs, policies and health promotion strategies. 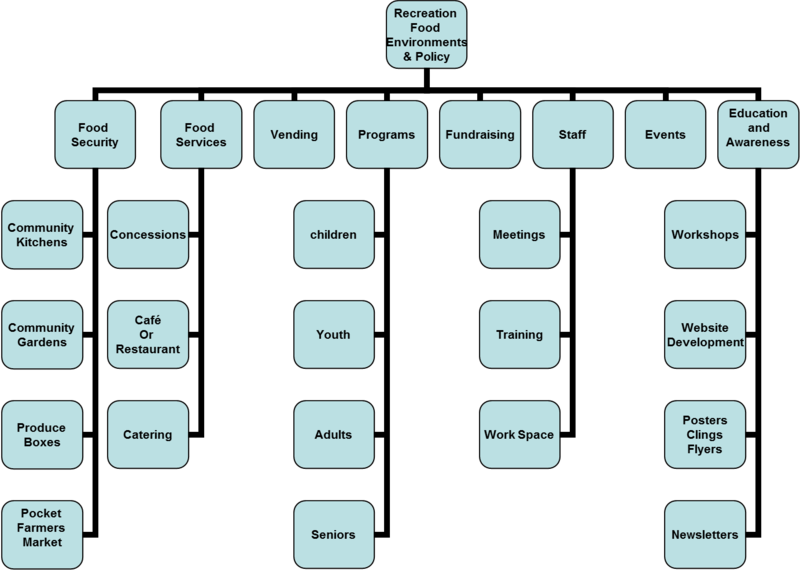 BUILDING HEALTHIER FOOD ENVIRONMENTS within Recreation Spaces. This resources is to be used in combination with a one-on-one consult. A four page summary of the LDCP Food Literacy research with youth, young pregnant women and young parents. This summary Flyer includes a definition of Food Literacy and two conceptual models of food Literacy derived from the study. Published by Desjardins et at., 2013. LDCP Food Skills report: The LDCP food skills group has completed a technical report based on their research findings. Congratulations to the LDCP group for your wonderful work!Preferred reference documentation is: Desjardins, E. and Azevedo, E. (2013) "Making Something out of Nothing": Food Literacy among Youth, Young pregnant women and young parents who are at Risk for Poor Health, a Locally Driven Collaborative Project of Public Health Ontario. Public health nutrition professionals are essential to health units, bringing appropriate skills, and a unique perspective. They are the only Registered Dietitians who have the mandate to serve the entire community. Public health nutrition professionals bring many strengths to health units. By using their skills, health units can better meet the requirements of provincially mandated programs, and maximize health outcomes in their communities. This discussion guide has been developed in response to educators requesting a tool to help with the use of the movie Super Size Me in the classroom. We are not encouraging the use of, or endorsing, this movie and we recommend that Super Size Me only be shown in classrooms with guided discussion around the sensitive and controversial subjects presented. Be aware of stereotypes and discriminatory attitudes presented, and be sure to address these in your classroom discussion. We do not feel Super Size Me is appropriate for students below the grade 6 level.